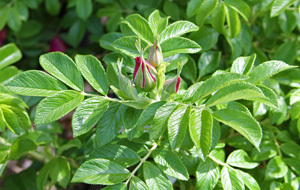 It's rose season and we are so excited that we just have to spread the news! Swansons is delighted to offer our customers the best selection of roses that we have ever seen anywhere. Seriously. 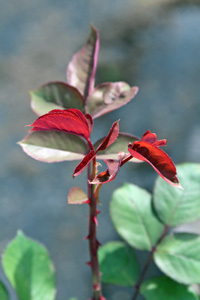 All the roses now in stock have clean, glossy foliage and large, swelling flower buds that will begin opening this week. So why are our roses so special? First, let me explain the traditional model. In January, traditional garden centers purchase all the roses they will sell for the entire year as bare-root and pot these roses in containers. Potted roses are immediately offered for sale. In January, we split up our roses into 2 groups. One group is prepared and offered as bare root plants from January through March. The other group gets shipped to one of our growers, Windy Meadow Nursery up in Ferndale, Washington. There, they are containerized and grown until the roses are well established in their pots. These roses are usually ready in mid-April. Windy Meadow has the experience and technology to grow our roses to the absolute highest standard we have ever seen, and we couldn't be prouder. So if you love roses, you will definitely want to hurry into Swansons and check out the selection soon, because they are selling fast. Once they're gone, they're gone (until next year, if you can wait that long). But don’t worry, you can always ‘stop and smell the roses' once you’re here! Newer PostYikes! What’s Eating My Plants?